Village Hub members have a few options when deciding the level of participation they want to have in the Village Hub, as shown in the table below. Volunteer/Friend of the Hub: $20 per year, paid in full. 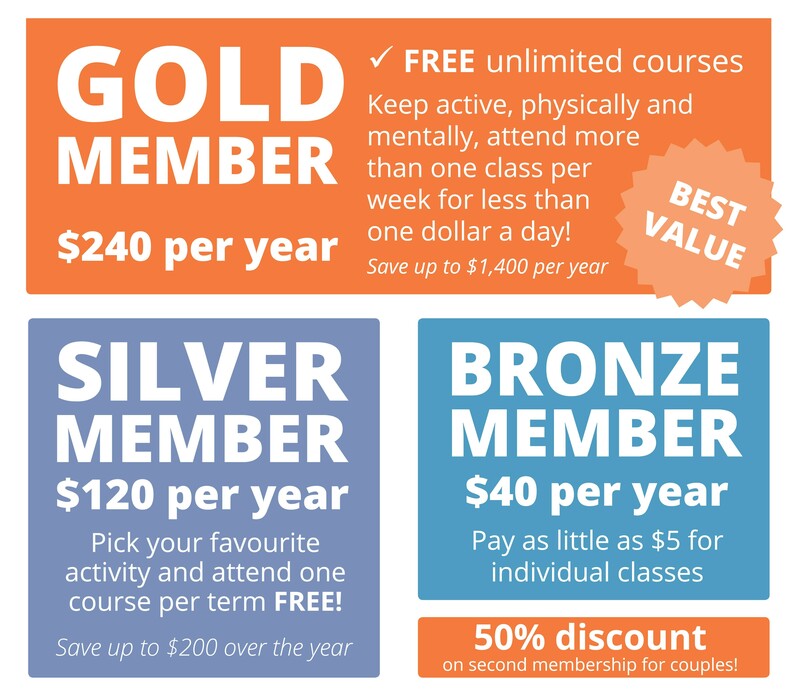 Bronze Member: $40 per year, paid in full. Bronze Member (+50% for couple): $60 per year, paid in full. Silver Member: $120 per year, paid in full. Can be paid in 2 x 6 monthly instalments of $60. Silver Member (+50% for couple): $180 per year, paid in full. Can be paid in 2 x 6 monthly instalments of $90. Gold Member: $240 per year, paid in full. Can be paid in 2 x 6 monthly installments of $120. Gold Member (+50% for couple): $360 per year, paid in full. Can be paid in 2 x 6 monthly instalments of $180. Corporate Sponsor: $500 per year, paid in full. Our memberships run for a year and commence at the time of sign-up. If you choose the instalments option, you will be required to make an initial payment at sign up, and a second payment at the six (6) month stage of your membership.